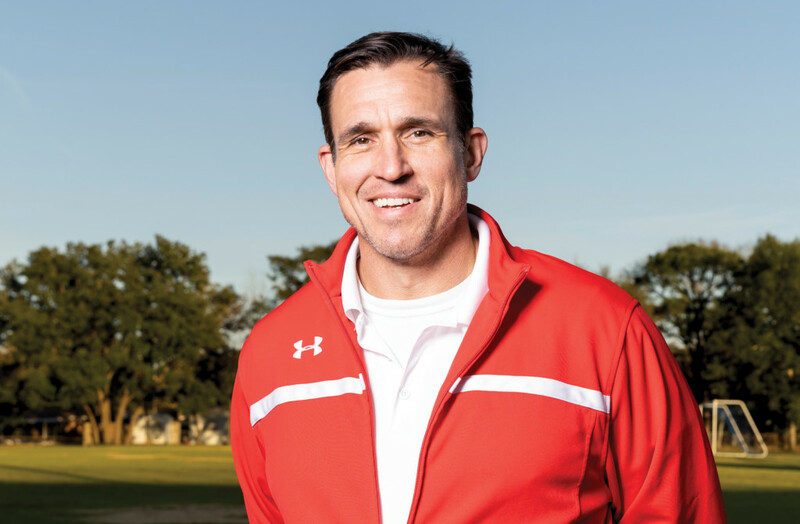 For the past 10 years, Duke Pope has played a major role in making lacrosse the fastest growing sport along the Emerald Coast. “It’s kind of a mix that has the physicality of hockey with the speed and excitement of fast-break basketball, all on a soccer-sized field,” said Pope, who was the founder of Emerald Coast Lightning Lacrosse in 2009, when he was still in the U.S. Air Force. From Panama City to Pensacola, there are a dozen such clubs that have been formed in recent years. Nine high schools along that stretch have varsity boys teams and eight have varsity girls teams, according to the Florida High School Athletic Association. Last May, the Okaloosa County School board voted unanimously to elevate the club teams at Fort Walton Beach and Niceville high schools to the varsity level for the 2018–19 school year. Pope was a Maryland middle-schooler when he first encountered the sport that has roots as an Iroquois war game. “From a player’s perspective, it’s very inclusive,” Pope said. “It’s not one body type or athletic type that lacrosse caters to. It can be little guys, big guys, fast guys, and some not as fleet of foot can be tremendously quick goalies. Both of Pope’s sons, Josh and Reece, grew up playing the sport, and it was Josh who came up with the name “Lightning.” He arrived at that idea as the family was driving back from Monterey to this area in 2008, and they were making plans for organizing lacrosse in Okaloosa County. Pope went on to co-found the Destin Rockets in 2012, with some major help from Gene Speni. Emerald Coast Lightning hosted the Destin Spring Lacrosse Invitational, as well as the fourth annual Surf-n-Turf 7 vs. 7 tournament, which brought 56 teams to Destin last November. Jamie Hansen is the founder of 30A Lacrosse. When he found out he was moving to the Emerald Coast from Colorado, Hansen began a search for a place where he could continue his interest in the sport. Hansen had some struggles developing 30A Lacrosse. “In the spring of 2016, it got to the point where Duke allowed me to roll my kids back in with the Destin organization and play with them even though we were doing registration for 30A Lacrosse,” Hansen said. For 2018’s fall season, Hansen registered 134 youngsters. A second Walton County high school, Seacoast Collegiate, has added the sport. And Dylan Hansen is coaching in a youth program.